All you need to know about Taipei, including its attractions, local transportation, the best places to dine and shop are here for an all inclusive trip. The city of Azaleas, Taipei has been under the spotlight of the travelers for quite a while now. This is not because it is a probable stop while changing planes. This is simply because of the late coming realization of the beauty and the livability of the city. Although it is the capital of Taiwan, Taipei is not the most densely populated city in the country. With 2.7 million inhabitants, Taipei is the cultural, economic and social hub of the country. With a strong commitment to its roots and values, Taipei is one good example of a modern metropolitan that has a soul. There are 7 central and 5 suburban districts in the city. The 7 central districts, all of which are shaped by their place in the history, have got numerous sightseeing spots and are hosting a lot of festivals and events, throughout the year. The semi tropical climate of the city is a part of the modern day living in the city. Sure, there’s no doubt that it is one of the major reasons for Taipei to be this famous. During the day, you will be accompanied by nice weather while you exploring this beautiful city and forget what it is to feel cold at least for a while. Taipei is one of the few cities in the world that has the essentials to change your ideal city definitions. Let me put it this way, we are talking about a city that has one of the lowest crime rates in the world, and where the garbage trucks are accompanied with classical music while they are on duty. I am not even mentioning the extra improved transportation system and the cleanest of streets. Your time in the city will give you the chance to see the warm bloodedness of its locals who always walk with a huge smile on their face. I am sure, with the beauty of the city and the nature of the locals, you will find the same smile on your face while you are having one of the most remarkable trips of your life in Taipei. Taipei is in the northern part of Taiwan, located on basin that is between the Yangming Mountains and Central Mountains. How to Get to Taipei? Taiwan Taoyuan International Airport, which is widely known as Chiang Kai Shek International Airport is located 30 km from the city center. The official website of the airport gives information on to/from options. Songshan Airport is the domestic airport of Taipei, however, there may be some international flights to/from the nearby islands. How to get around in Taipei? Taipei is actually famous for its highly efficient bus and metro systems. You can actually go anywhere you want within the central districts via these two. Metro Taipei and Taipei Bus Information & Transit System websites provide the visitors with detailed information on Easy Card (travel card), the prices and schedules. When it comes to taxis, they are easy to use as they are abundant. While compared to the rest of the world, they are not too expansive. However make sure to have your destination written in Chinese on a piece of paper as most of the drivers don’t speak English. Taipei has got a lot of landmarks to visit before returning home. These are accompanied with historical places, museums and temples that should be included on your list. In addition, when it comes to dining and night life, shopping and excursions, the city is a package that has it all. Of course your personal interests have a great role in choosing what to see among countless important places however my personal suggestion definitely includes National Chiang Kai-shek Memorial Hall, Taipei 101 and Sun Yat-sen Memorial Hall. National Palace Museum, Shung Ye Museum of Formosan Aborigines and National Taiwan Museum are top 3 museums in Taipei that are must for museum lovers. In addition, Longshan Temple, Confucius Temple and Xingtian Temple should be on your list if you like to explore spiritual/religious buildings and the aura surrounds them. On shopping in Taiwan section, I already mentioned the importance of the night markets in Taiwanese culture. Taipei, has got a bunch of those to experience a totally new shopping way. Shilin Night Market. A lot of imitations are sold in this one, so think twice before purchasing a Prada. East Taipei is the central shopping district in Taipei. If you are after some handicrafts, then head to Chinese Handicraft Mart or the Weekend Jade Market. Computers and other electronics are abundant in K-Mall and Nova. Let’s make one thing clear: You will never feel hunger in Taipei. No matter what the time is, you will come across a lot of places, restaurants or food stalls along the central districts. If you would like to get to know what Taiwanese cuisine is like, you can have look at Taiwanese cuisine section right away. Night life in Taipei is actually a whole issue to write an article on. All the districts in the city have got areas where the night life stands as the other name of the district. I am sure you will find your type of entertainment. One single thing: Never think about going back to your homeland without trying the national drink: koaling. Hot springs in Taipei are actually the reason for some people to visit Taipei. Of course, you should also visit one when you have come this far. On the skirts of the Yangming Mountain, you can witness the nature’s ruling over man with your own eyes. Tamsui offers you not only the most shiny night life but one of the most fabulous sun sets you may ever come across to. Wulai region is a great spot to observe the life of the Taiwanese aborigines. If you are sports lover and you would like to get away from the center to take the daily dose of sports, you might as well try trekking in Pingxi and get fascinated by the scenery. 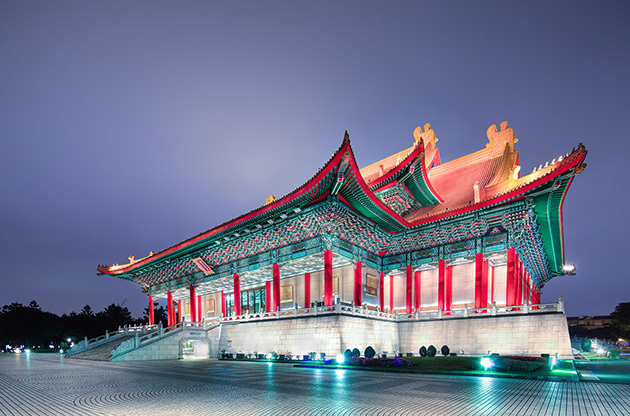 The capital of Taiwan, Taipei is home to a countless number of congresses, conferences, exhibitions, fairs, tradeshows and symposiums throughout the year. World’s largest conference centers and venues that are located in the center of the city make Taipei a perfect destination to be a part of the desired event. In addition, Taipei has got so much to offer to explore and see, making the event trip an unforgettable one.